Since 2005, we’ve always made health optimization the focus of our chiropractic care center. Associated Chiropractic and Functional Nutrition is passionate about working with family members of every age, from newborns, babies and children, to parents, grandparents and pregnant moms. We have a special affinity for those suffering from chronic illness, as well as mothers-to-be hoping to experience an optimal pregnancy. Our purpose is to work with people that want to take charge of their health. Our passion is to educate, elevate and empower our patients to help them experience the kind of life that only optimal health can bring. We have a reputation for excellence in not only treatment protocols, but in the areas of sincere caring and unlimited encouragement, from doctors to friendly staff. One of our favorite patients was an elderly man who came in accompanied by his wife. This gentleman was a veteran, having served in WWII as a machine gunner. Since being discharged from the service, he suffered from chronic neck pain and headaches. His wife stated, “The first words out of his mouth every morning and the last thing he says before he goes to bed at night is ‘I have a headache.” He decided to give chiropractic a try after decades of pain. After a few adjustments, our friend was no longer suffering; his headaches disappeared. It’s because of the success we achieve with people like this that we strive to offer the best in chiropractic and functional medicine services. We offer state-of-the-art functional nutrition services. 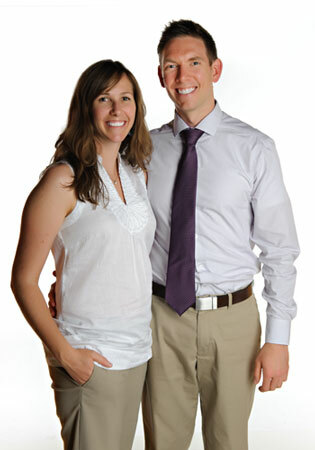 Dr. Shanna has had hundreds of hours of training in this evolutionary science, and Dr. John is in the process of completing his Diplomate in Applied Clinical Nutrition. Heart-centered and patient-focused, our office is a nurturing, healing oasis for those wishing to optimize their health. We offer many sought-after services under one roof: cutting-edge chiropractic care, functional nutrition, therapeutic massage, and physiotherapy. Because we feature two doctors, our patients receive the benefit of their combined knowledge and expertise. Our office is bright and cheery, and you’ll often hear the sounds of laughter when you walk in the door. Do you have a problem we can help? We want to be of service. Contact us today for a convenient appointment!